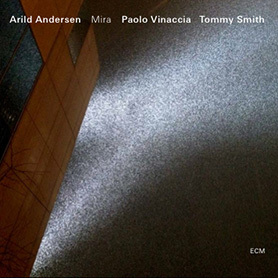 Arild Andersen’s International Quintet debut was with his current crew at the Kongsberg Jazz Festival last summer, when the Polish pianist Marcin Wasilewski replaced Danish Carsten Dahl in about the time it takes to pack a bag and get from Warsaw to Kongsberg in the quickest manner. 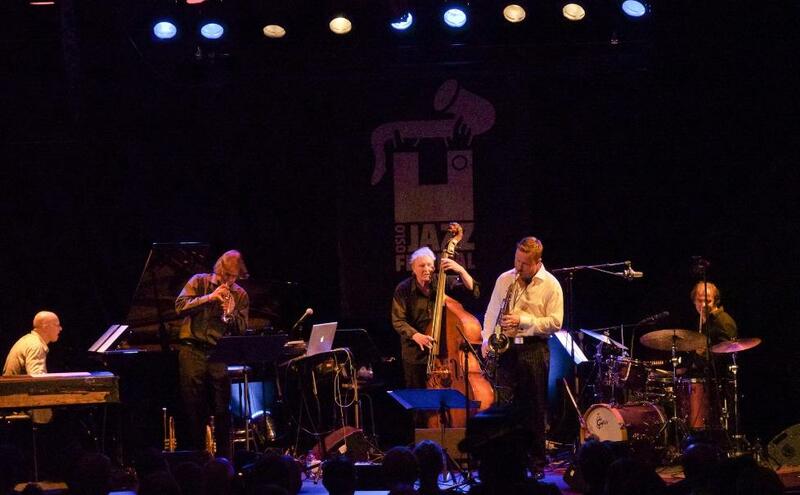 Now he is in the band, along with Andersen’s three partners for many years, the Scottish saxophonist Tommy Smith, the German trumpeter Markus Stockhausen and the French drummer Patrice Héral.Saturday night the band ended the Oslo Jazz Festival in front of a packed national jazz scene, Victoria. It was a quality conclusion in the style of Tony Bennett, the festival’s opening act: high-level music-making that in spite of the unimpeachable authority seems effortless, playful and at times lit up by the initial glee and pure joy of playing. Without comparison, in general, Tony Bennett and Arild Andersen carry several common qualities, most strikingly the ability to maintain the inherent melodic qualities of their instruments for a life-long process that will never get in the way of the music.In that sense, Andersen – proudly presented his brand new bass with an awesome lion head – among his like-minded musicians Saturday evening. Neither Wasilewski is a man of large, shade-throwing gestures as he takes the music out of the soft tone their density, and Stockhausen, with and without electronics and mute, played vigorously and less academic than I can remember having heard him. His soli was a great listening pleasure, and the same can be said of Smith’s expressive explosiveness, controlled with tastefulness and sense of dynamic whole. When Héral confirmed that he is an immensely charming virtuoso of a drummer / percussionist / abrupt humorist, it would only be a great concert of it, with, inter alia, «Lucia,» «Saturday» and «The Fox» as old friends, plus compositions (presumably Andersen?) who, at least to my ears were new. Among them were «Rosetti», named after a place in the old town of Nice and began solo by Andersen with one of the minuet from Bach’s first cello suite. As appropriate to a band that embraces so much of Europe and European music in its essentially American-founded expression.